Allow me to introduce you to two men who have been instrumental in both my professional development and my personal health, Dr. John Marchese and Dr. Tim Morgan. Dr. Marchese is the founder of Marchese Sports Therapy http://www.marchesesportstherapy.com/index.html and Dr. Morgan is a former university professor of mine. Both have treated for various ailments I’ve endured over the last few years. Without them, I don’t know where I’d be personally or professionally. They remain two of the most important mentors- and friends- that I have. Their blend of intelligence, humor, and incredible service simply can’t be matched. At Marchese Sports Therapy and Performance we are definitely a little different than your everyday, run-o-the mill sports medicine and rehabilitation clinics out there. Our mission began in 1999 as a commitment to bring the very best of the available, and not so readily available, therapeutic approaches utilized throughout the United States, and even the world. We became "therapeutic road warriors" of sorts, traveling all around the US learning from some of the best known, and little known therapeutic and training personal in their respective businesses, including but not limited to chiropractic, physical therapy, acupuncture, strength and conditioning, neurology, and many more. The result? A facility which is as unique in its approach to health care and fitness as it was in its conception. Our rehabilitation and fitness services are based in neurological and biomechanical science, technique, and FACT, not popular, or "fad" techniques. Our clientele comes from all walks of life, from the professional athlete, to the weekend warrior... from the octogenarians, to the pre-teens... from the plantar fascitis, to multiple sclerosis. As former, and sometimes even current, athletes we understand what it takes to get back into the game, even if that game happens to be the GAME OF LIFE! Dr. Marchese (JM) and Doctor Morgan (TM) were kind enough to sit down with me recently and answer some questions about chiropractic that I know many of my readers have. PC: What is your definition of chiropractic care? TM: It may sound cliché, but chiropractic care boils down to the recognition and correction of any impediments to function. The human body is an incredible machine, on so many levels. My chiropractic practice has it that I predominantly focus on what I call “structure & function”; essentially concentrating on the physical and biomechanical components of the body. Even on this physical level, there is a lifetimes worth of work to do, as you never know everything. Human physiology is a life force, that is, until tissue death occurs, our bodies are continuously trying to heal, regenerate, and live. It’s like a ball rolling down a hill, until it reaches dynamic equilibrium at the bottom of the hill, it isn’t going to stop unless there is a physical impediment. When the ball stops, function ceases, and cell death occurs. Chiropractic care for this “ball” would be the recognition and removal of these impediments, both before and as they occur. This essentially equates to a better quality of life, and hopefully, a longer, smoother hill! JM: Chiropractic care, at least our brand of care, can be described as utilizing external interventions (joint adjustments, soft tissue techniques, physiotherapy, therapeutic exercise, exercise prescription), to affect the internal environment of the human condition. In other words, use our evaluation tools to effectively formulate a diagnosis, and then use the tools available to us to resolve the condition. 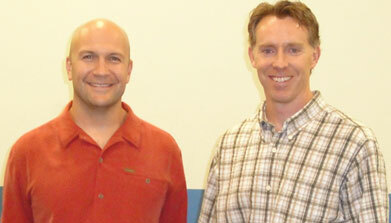 Chiropractic care is basically rehab on steroids (minus the rage, and backne!). 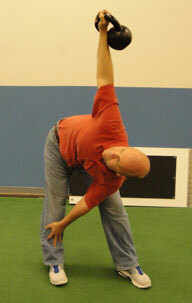 Most rehab protocols address the biomechanical deficiencies only. Chiropractic care addresses the underlying neurological causes which contribute to the injury event, and may even directly cause the event …then the biomechanical causes, and others as well. That is unique to chiropractic care and has been for over 115 years!! PC: Can you describe a typical initial visit, and visits thereafter? JM: The initial visit is not some mystical event where we swing dead cats, burn incense, and chant mantras. The chiropractic evaluation is a combination of site specific and whole body evaluation procedures where the true cause of the patients infirmity/injury is identified using orthopedic/neurological tests, just like an orthopedist or neurologist would. The chiropractic procedures are then utilized to evaluate the state of the patients infirmity/injury as a whole organism. The separate approaches and their results are then combined to produce a clinical picture and a working diagnosis. From this diagnosis comes a treatment plan which is designed for the patients specific condition (nothing cookie cutter about it!). On each subsequent visit a brief re-evaluation is performed to assess the patients status at that point in time and the treatments involve “clearing” of the neurological findings, soft tissue findings, joint restrictions (chiropractors call these restrictions subluxations…in order to not confuse things, subluxations are abnormal joint movement findings which adversely affect the state of the patients central nervous system-brain and spinal cord, and peripheral nervous system-nerve roots out to the end organ, tone), and muscle imbalances…followed by therapeutic exercises specifically prescribed to address the patients weaknesses, whether they be biomechanical, or neurological. Ok…breathe! PC: Who can chiropractic care benefit? TM: Based on my answer to what chiropractic care is, I think this question is effectively rhetorical, and therefore, the answer is obvious. Who among us wants to get hung up on our physical impediments? Who would prefer dysfunction to optimal function? Who would choose a diminishing functional capacity? Surely, not everyone needs the same level of chiropractic intervention, but we all share more in common than we don’t, and we all need help on occasion! PC: Is it typically covered by Health Insurance? TM: Yes. There are insurance equity laws that require all health insurers to offer policies that include chiropractic coverage. That said, not all of their policies will cover chiropractic, but the majority of plans do. PC: What conditions does chiropractic care benefit? JM: It would be easier to list what conditions chiropractic does not treat. In a typical morning I can have a professional basketball player sharing the treatment space with a Parkinson’s patient. If it has a nervous system, we can most likely treat it. TM: This is condition dependent. Typically, I don’t begin seeing patients until they begin developing in their adolescent years, as their bodies are getting bigger, stronger, and unfortunately less resilient. Some conditions such as acute injuries need multiple interventions per week for very short periods. Other more chronic conditions may require semi-regular interventions, coincident with home management prescription. This latter offering plays a huge role in making our patients more autonomous with their health. Short of injury or chronic involvement, occasional check-ups are recommended to monitor growth, development, and to head developing problems off at the pass. PC: How does chiropractic differ from other treatment modalities (i.e. Acupuncture)? JM: As mentioned previously…chiropractic truly addresses the neurological cause of the infirmity/injury, rather than just the symptoms. If the nervous system is not intact then true resolution of the problem is not achieved. PC: Are there tools/medical devices used for the treatment or is it simply hands-on treatment?? 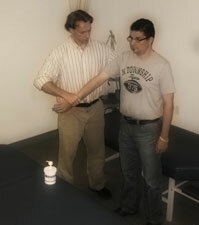 JM: We use, first and foremost, our hands…chiro- meaning “of or by means of the hands…” after that anything is fair game. For example we use porcelain Chinese soup spoons to perform gua sha, a Chinese soft tissue technique; an extremely powerful stimulator unit called an ARPwave (see pic below) is used in order to reduce the electrical charge of the inflammation resultant from acute and chronic injuries as well as re-educate the neuromuscular system to return to activity as quickly as possible…some of you may remember the Dwight Freeney story from last years Super Bowl? This was the tool he used (and continues to use) to come back from a grade three ligament sprain in about 8 days to compete in the biggest football game of the season. Great machine with unreal results; all forms of strength and conditioning equipment from kettlebells, to balance boards! The list goes on and on. Nothing is out of our realm as long as it is safe and very effective. TM: There are many roads to Rome, some more questionable than others. Many alternative health theories or methods may seem questionable or controversial, including chiropractic. We have all grown up under the shroud of western medicine. This is not meant to be dismissive, as modern medicine can often be miraculous. However, traditional, western, allopathic medicine can significantly under serve the preventative or wellness model of health care. With any alternative methodology, there are fringe providers. My profession has its share. A baby and its bathwater, a book and its cover. 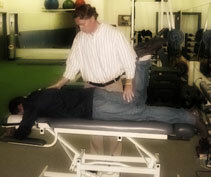 JM: Chiropractic has been considered controversial ever since its inception in 1896 for one reason or another. The most prevalent reason being a lack of good communication as to what chiropractic is all about. You throw in there a hefty dose of taking money out of other professions coffers and you have bullspit controversy! Listen, when it comes to controversy, the golden rule always stands…those who have the gold make the rules. Chiropractors are at fault for lack of effective communication, but a billion dollar lobby beats a thousand dollar lobby every time. Let the powers that be keep slinging the hate speech, and we will keep retaliating with science, fact, and pure logic! No worries. PC:The terms “subluxation” and “spinal manipulation” are often thrown around when reading about chiropractic care. What exactly do those terms mean? TM: Good question. I believe “subluxation” has way too many definitions to address here. My short answer would relate to my answers above, in that a subluxation equates to any impediment to our bodies life force; structural, biomechanical, chemical, psychological, or energetic. “Spinal Manipulation” is simply one tool we use to address one possible structural or biomechanical impediment. Successful practice comes down to choosing the appropriate tool. Equating spinal manipulation with chiropractic is lazy and simplistic. JM: We are very heavy on the home exercise! 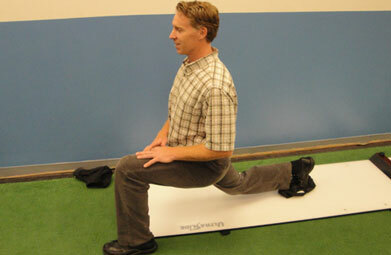 All patients receive therapeutic exercises to perform at home to re-enforce what we do in the office. The hard part is ensuring that they actually do the exercises. Quizzes are often given…and failed. For the most part, the success of any therapeutic process depends on what the patient does to help themselves…this includes behavior/activity modification, dietary changes (maybe one of the most important facets! 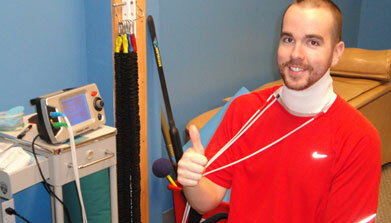 ), and of course the prescribed therapeutic exercises. Since we often times work in a partnership with strength coaches around the area as well as throughout the country (and other countries), an excellent knowledge of strength and conditioning principles is a must! How can we modify what we don’t have a clue about?! PC: Who, if anyone, should not seek chiropractic treatment? TM: No one should “NOT” seek chiropractic care…but a good chiropractor will quickly recognize who needs to see another type of provider principally. So, even those patients who may have one of the classic “contra-indications” to chiropractic care can potentially use our services, as long as it doesn’t supplant the medical care that they may require. Chiropractic care that supplants appropriate medical care is an oxymoron, as it then effectively becomes the impediment! PC: What is your favorite part of being a chiropractor? TM: Doing interviews! No, actually it would be helping people gain an understanding of their “issues”, and helping them reach their “a-ha” moment when they gain perspective and realize they are not in time’s cross hairs. JM: I guess the idea that I can help make a difference in some one’s life. We are only here for one go-around, and I intend to help as many people as I can, while I can, until someone comes along to take my place and keep on doing what I started. In life, if we all looked to help as many people as possible, wouldn’t the world be a pretty cool place? Just ask the lobbyists (average salary…$750,000/year for professional shenanigans, tomfoolery, and general chicanery!). Ok, I really just love the popping sounds! TM: Really, I’d just say gather up all of your questions and goals, and don’t wait too long. If you don’t walk away from your provider thinking “this is the doc for me”, look some more. PC: Given the fact that you are both advocates of implementing a home exercise routine, can you each review an example of an exercise you’ve had past and present clients practice to improve their daily function? JM: The Kettlebell windmill, and its derivative lifts, may be some of the most underrated and underutilized lifts I have ever come across. This lift utilizes a plane of motion (frontal) in the body which is often overlooked in conventional strength and conditioning, and pulls into play the other two planes (saggital, transverse) of motion to form a most complete and biomechanically sound movement. What muscles doesn’t this movement utilize? As far as training the stability muscles of the human frame, and in this case the term “shunt stability” comes to mind…who wouldn’t incorporate this exercise into their routine, especially for throwing and other overhead athletes. After all, as Dr. Morgan says… “You can’t shoot a cannon from a canoe!” And you can’t expect an appendage to operate separately from its grounding core musculature. Great lift…great pre-habilitative movement. PC: Thank you both very much for taking the time to take time out of your busy schedules to chat with me. I’m sure many of my readers’ chiropractic awareness has been improved from reading this interview. I look forward to my next visit! Can you tell my readers how they can get in touch with your office if they are interested in your services?